Selection of the best home Bluetooth exercise bikes which allow you to connect your iPhone or iPad and download compatible training apps. The DKN AM-5i Ergo Exercise Bike with Bluetooth has a very attractive design and comes with an app. 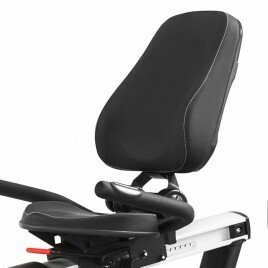 The Bluetooth connection allows you to connect your mobile device, iPhone and iPad, to your exercise bike. 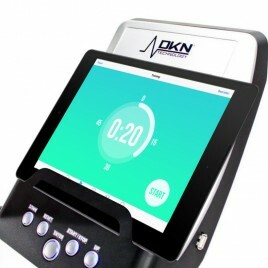 * EXCLUSIVE OFFER: Get with your DKN AM5i Bluetooth exercise bike a 12-month subscription to the Vescape App for free, with cardio, interval trainings and fitness stats. 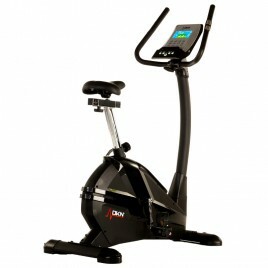 The DKN AM-3i Exercise Bike with Bluetooth is the very new DKN bike with an attractive design. With its Bluetooth connection, you will be able to connect your smartphone or tablet (iPhone and iPad also) and download compatible apps for making your workout more engaging and more interactive! The DKN RB-4i recumbent exercise bike with Bluetooth offers a good seat position thanks to a 41cm wide adjustable seat and back support. 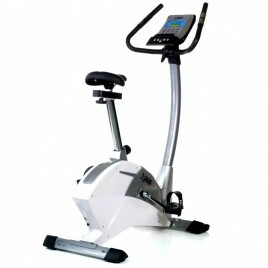 Its 11 kg flywheel ensures a smooth and comfortable pedaling. 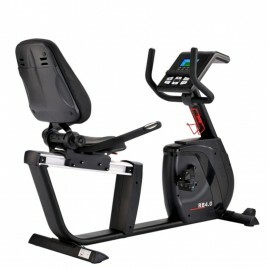 This recumbent stationary bike is very stable, silent and allows a maximum user weight of 150 kg. The Bluetooth connection allows you to connect your iPad and access various workout routines.